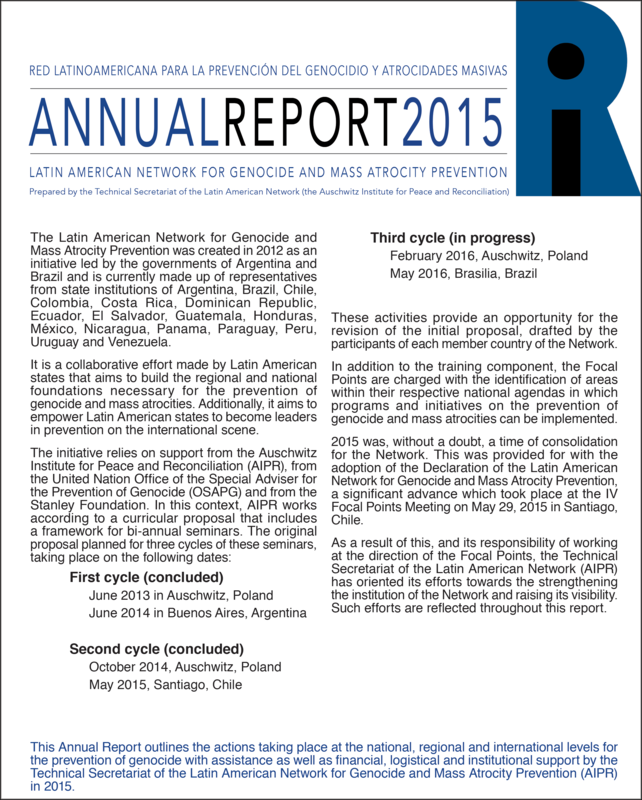 This page contains a collection of resources published by the Auschwitz Institute. 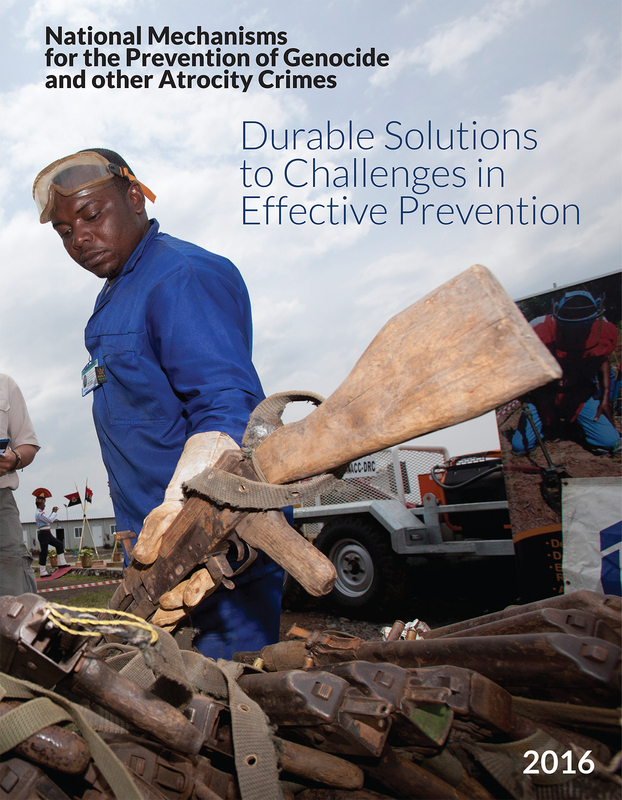 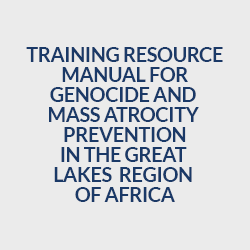 Under Training Resources, you will find a growing list of tools created by AIPR to assist officials and practitioners in the field of genocide and mass atrocity prevention. 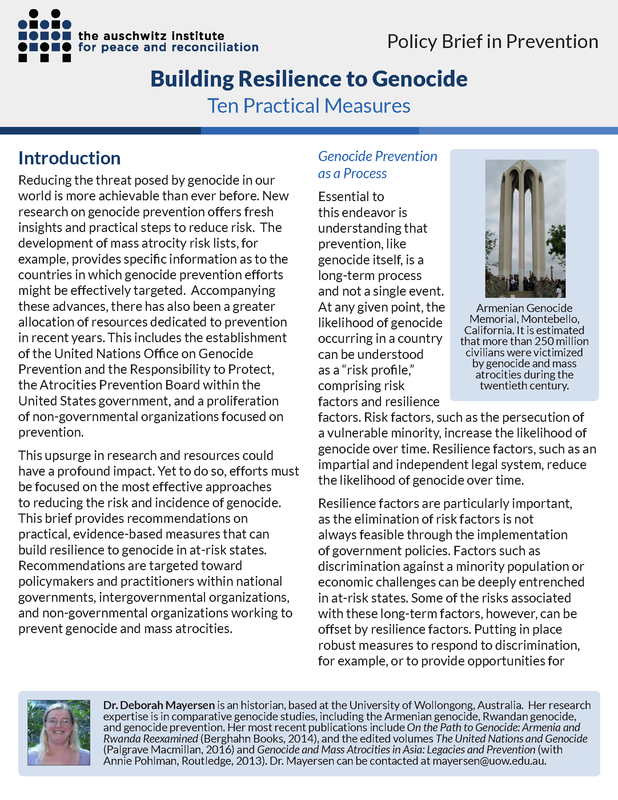 The Sheri P. Rosenberg Policy Papers in Prevention work to give a platform to prominent academics and practitioners in the field of genocide and mass atrocity prevention a platform from which to discuss a diverse range of themes and sub-topics. 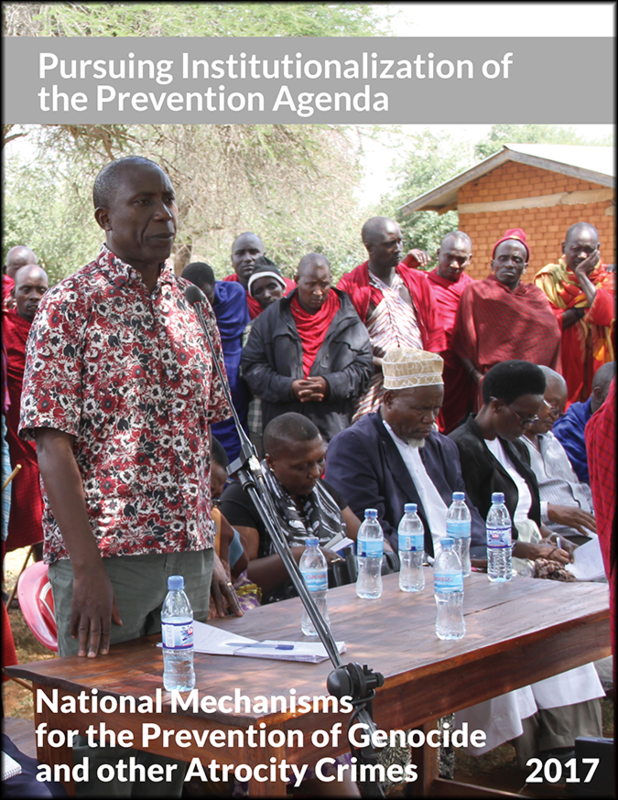 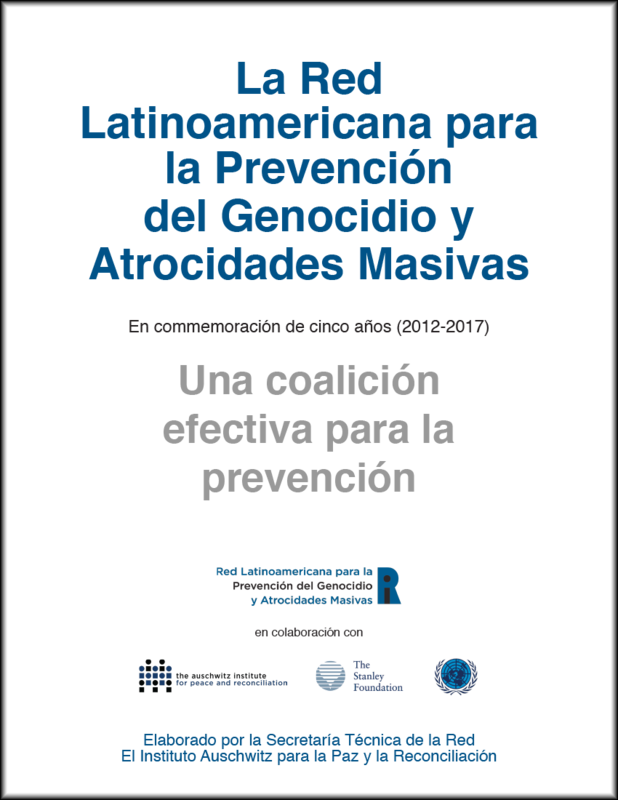 Each year AIPR also publishes a Booklet on National Mechanisms for the Prevention of Genocide and other Atrocity Crimes, officially established bodies that include representatives from different areas of government relevant to the prevention of atrocity crimes. 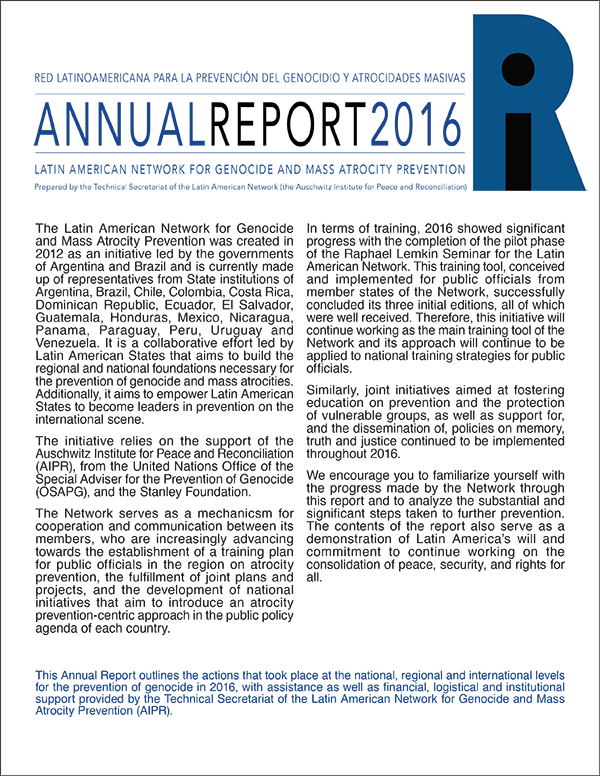 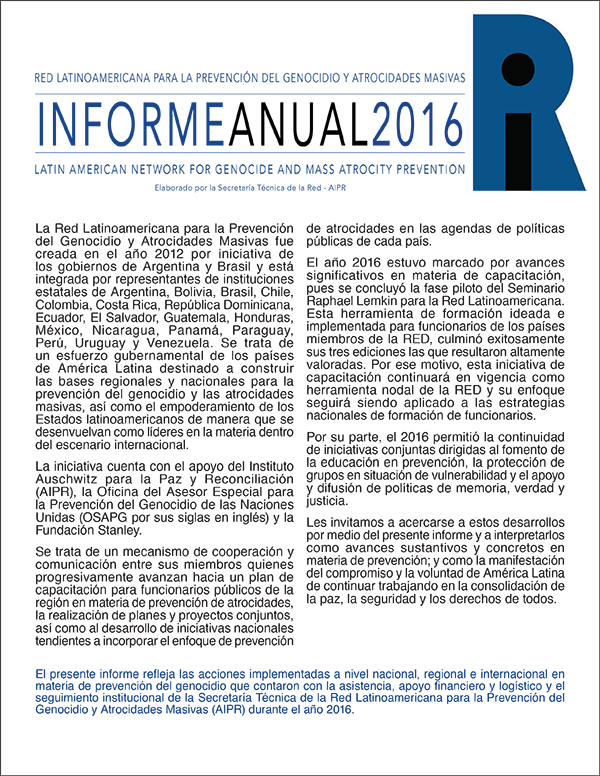 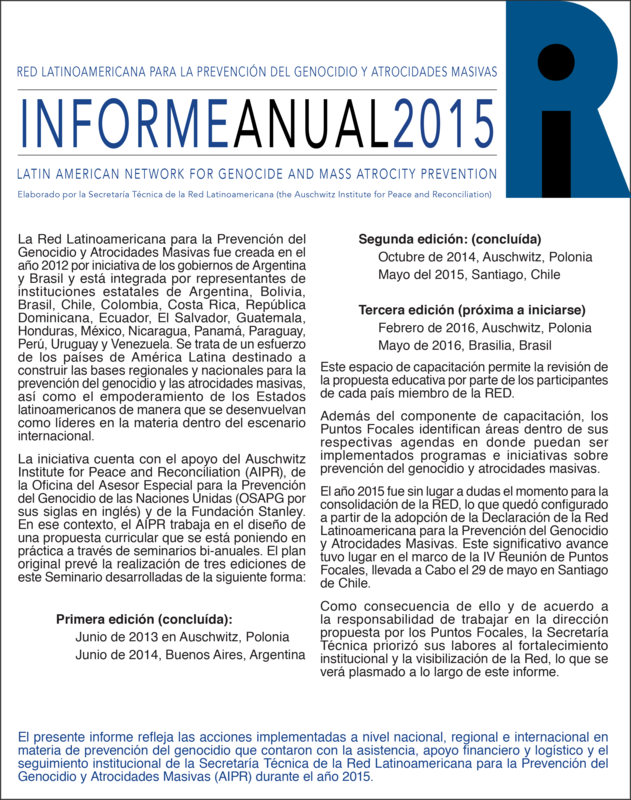 The Annual Reports of the Latin American Network for Genocide and Mass Atrocity Prevention contain a comprehensive overview of the accomplishments and operation of the Network for each respective year. 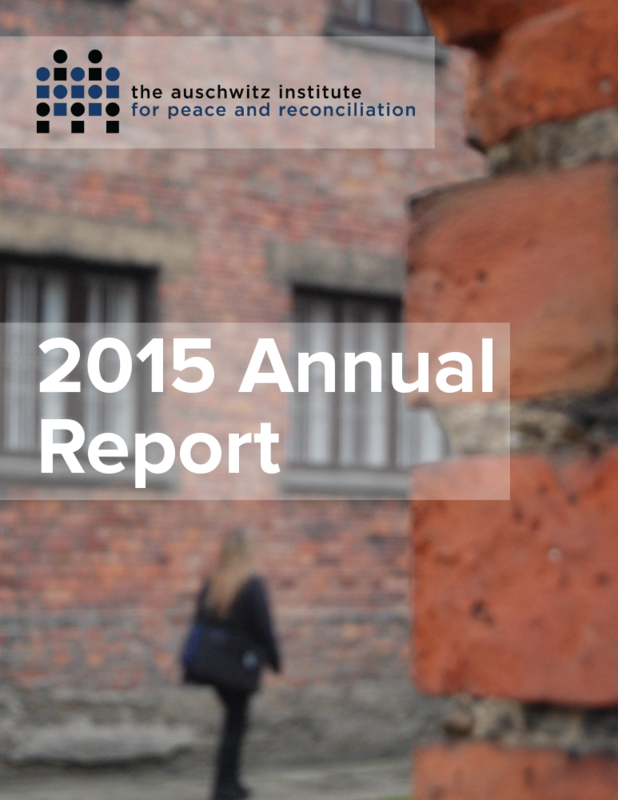 Equally, the Auschwitz Institute also produces an Annual Report, which gives readers a current view of the organization’s programs and events conducted during the previous year.